Horizontal Directional Drilling (HDD) facilitates the faster installation of underground utilities, eliminating the need for surface excavation. HDD reduces environmental damage and associated costs of underground working. We provide trench-less horizontal drilling for the installation of optic fiber cable networks, oil and gas pipelines and cable networks, among others. Our Company analyzes the feasibility and geo-technical report for installation through the HDD method. Skipper Limited pioneered trench-less technology in India. Our clients include large reputed corporations like L&T, JUSCO, CESC, WBSEDCL, Reliance Infocom, BSNL, VSNL, Tata Tele services, Bharti Televentures and Hutch Telecom, among others. Using state-of-the-art equipment, we have accomplished successful projects in Delhi, Punjab, Mumbai, Chennai, Bangalore, Orissa, Jharkhand, Bihar and West Bengal. 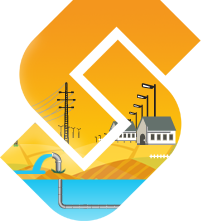 With HDD it is possible to install utilities such as optic fibre cables, HDPE ducts, power cables and steel pipelines (for sewage, waterlines or gas lines). Stem Carrying Capacity 200 mtrs. 200 mtrs. 200 mtrs.